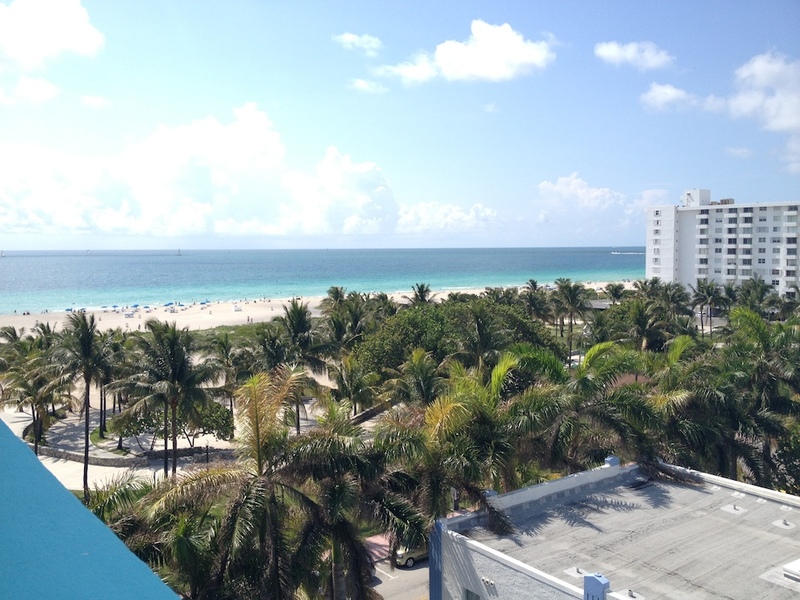 Today was our last day in Miami, so Jeff and I went upstairs after breakfast to admire the sweeping views from the rooftop terrace. South Beach is amazing beautiful! We also went to the beach briefly and hit our patio pool afterwards. After checking out of the Park Central Hotel, Jeff and I drove to Little Havana. We traveled down famous Calle Ocho and made a visit to Gomez Park (Domino Park). We watched some older men gathered to play dominos and backgammon. 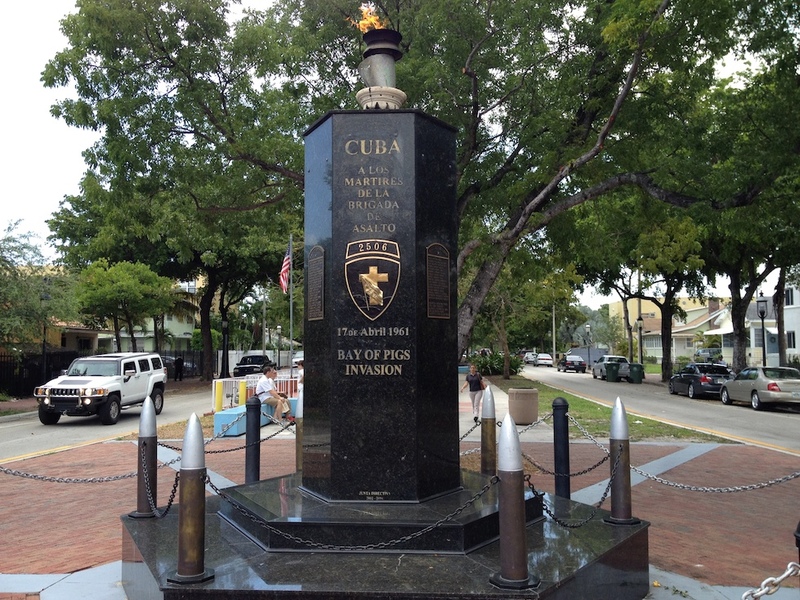 Then we walked to the Cuban Memorial Boulevard Park. 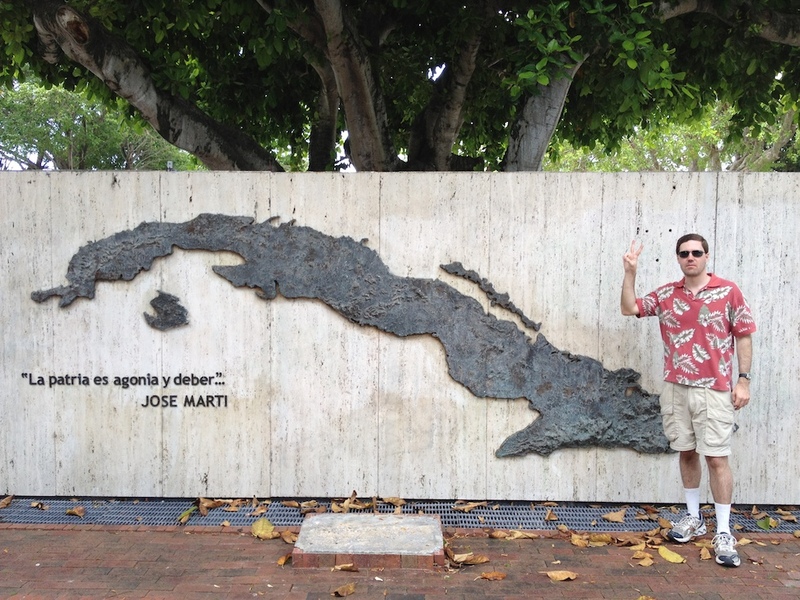 We saw the eternal flame burning in memory of the Bay of Pigs Invasion in 1961, a statue commemorating Bay of Pigs brigade member Nestor ‘Tony’ Izquierdo and a large relief map of Cuba with a quote by Cuban independence leader José Martí. Then we went to a local café where we ordered some sugar cane drinks that were kind of like smoothies. For our last stop, we headed to downtown Miami. 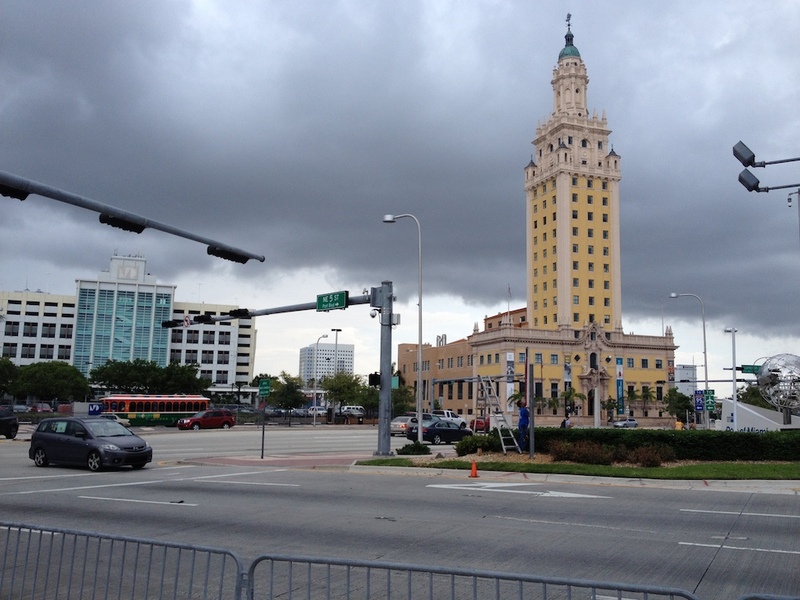 We parked near the colorful Freedom tower to visit the Port of Miami. 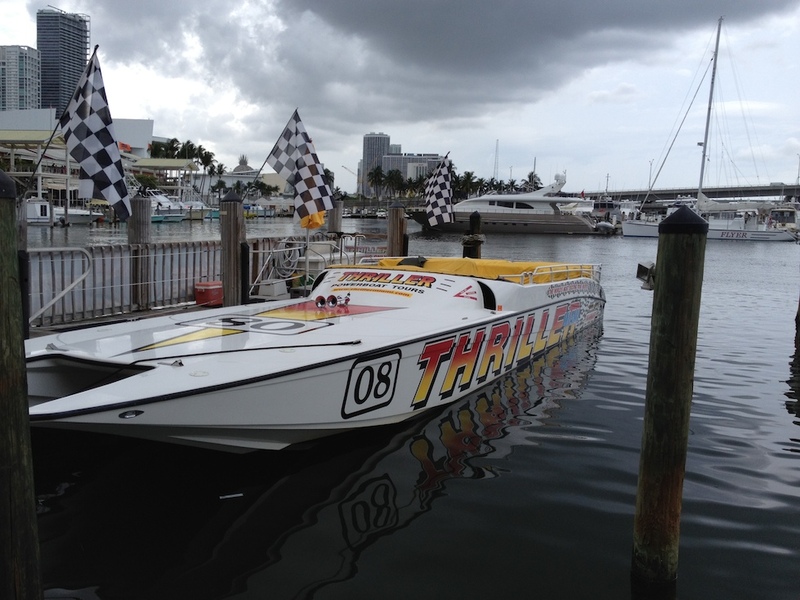 We decided to take the Thriller Miami speedboat tour. For $36, this was a fantastic, wind-in-your hair adventure! 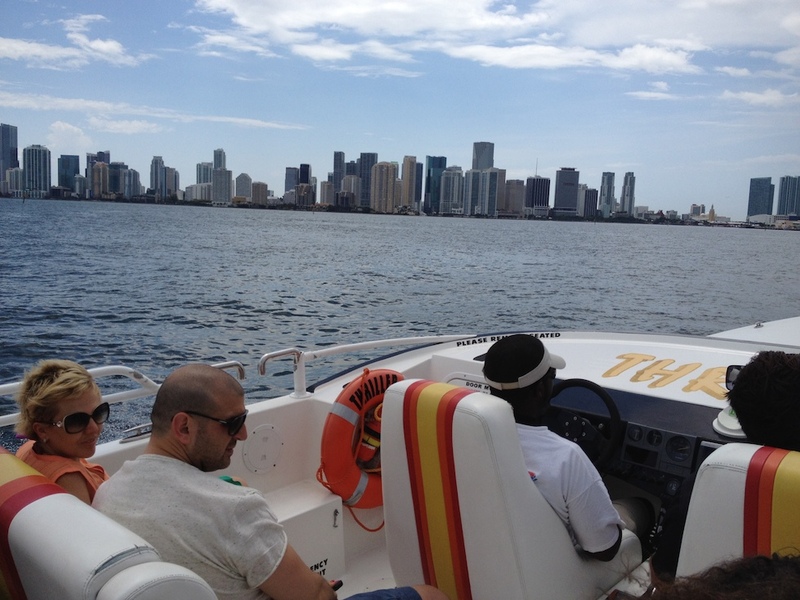 We departed near Bayside Marketplace and traveled “Miami Vice Style” – they even played the music! 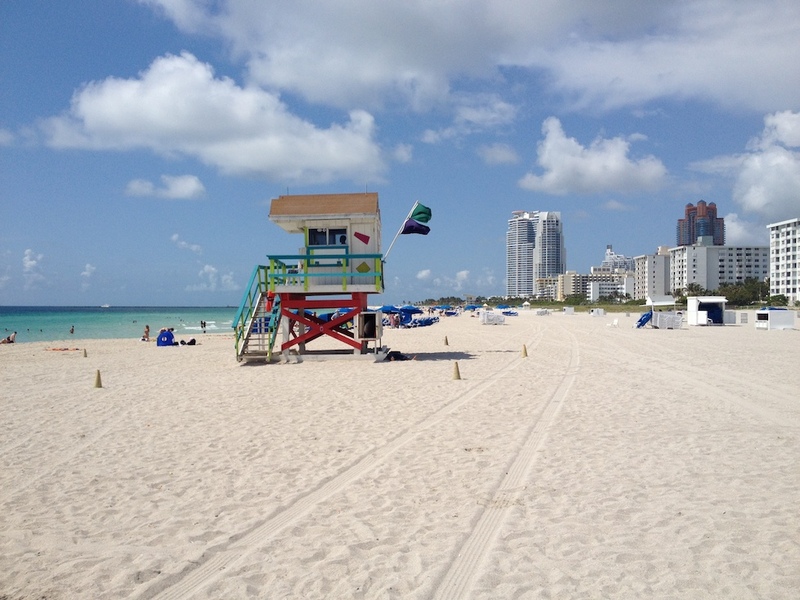 We cruised byStar Island, Fisher Island, Miami Beach and even the Art Deco district of South Beach. 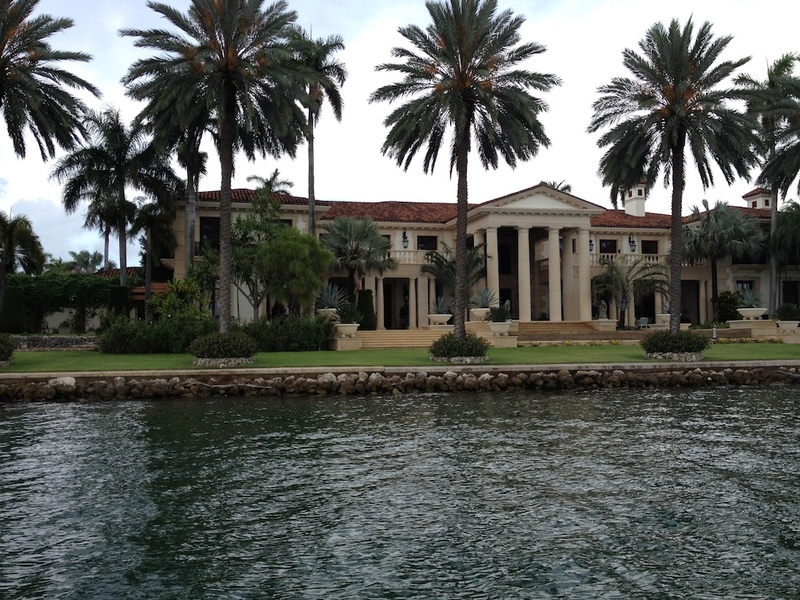 The highlight was passing by Millionaire’s Row where we saw the homes of celebrities such as Shaquille O’Neal, Gloria Estefan and Julio Iglesias. What was more impressive was the view of Miami’s skyline in the background. It was a great way to finish our trip before we headed back to the Fort Lauderdale airport. What a great short trip to South Florida. This part of Florida is like a different country!